04 Oct Reminder! Oktoberfest this Saturday! If you haven’t already bought tickets to Oktoberfest this Saturday, you really should. This year’s event at Yaralla Sports Club is set to be bigger and better than ever, and it is also a major fundraiser for Team RSPCA Gladstone and Roseberry Community Services. So you get to help out local organisations whilst having a great time. The event will run from 2pm-11pm and organisers have gone above and beyond to cater for everyone. The Motel Hotel has offered rooms at $100 for the night to make it easier for guest, and busses will be dropping people around town throughout the night. Our region’s very own Baffle Creek Brewery has also brewed a beer just for the occasion. Bert and Beatrice Kangler have created the Oktoberfestbier Maerzen. This beer is big and golden, has low bitterness, smooth and slightly sweet with caramel malts used to craft it. This will be a real treat for everyone. Live entertainment will be happening all through the day, from acoustic local artists to a German DJ. And of course, there will be food, lots and lots of food – from pig on the spit, to burgers, apple strudel and genuine German sausages. Major prizes will be up for grabs for the best dressed King and Queen, and a raffle competition could win you 2 return flights to Brisbane and 2 nights’ accommodation at the Mantra. 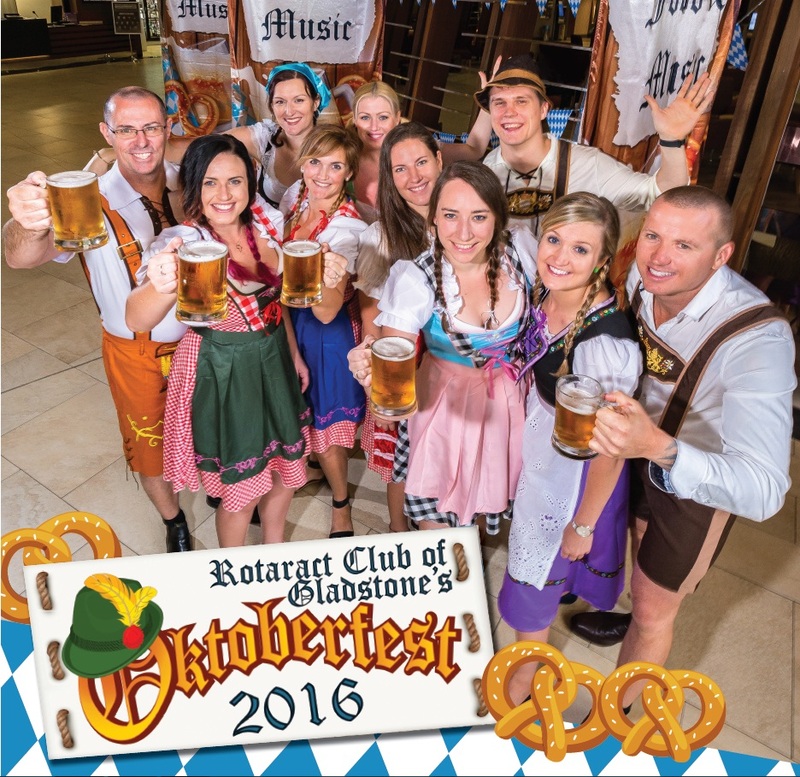 Tickets can be purchased for $40 at www.gladstoneeventscentre.com.au/events/oktoberfest-2016 and the first 1000 tickets will also get a BEER STEIN! We cannot wait to see everyone there!